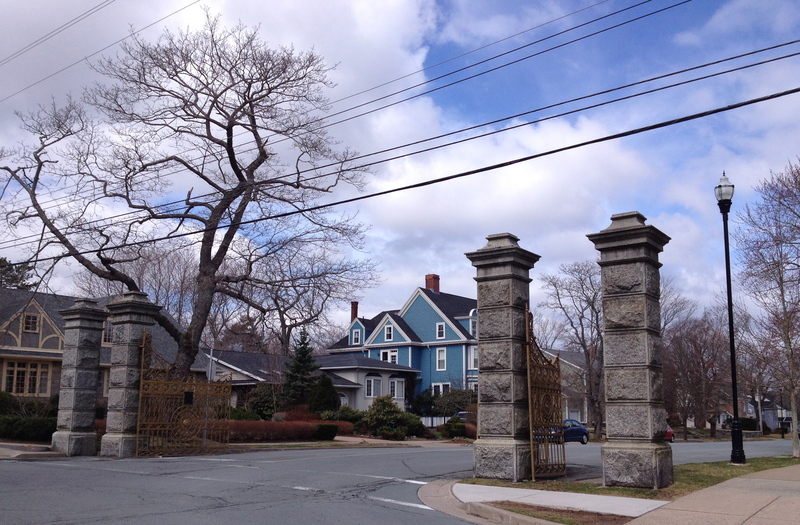 Second in a series of three posts on “Anne of Green Gables in Point Pleasant Park.” Read Part One here. Watch for Part Three tomorrow. Gilbert Blythe proposes, Anne rejects him, and not long after that, she meets Royal Gardner for the first time on “a gray day in the windy park.” Her umbrella has blown inside out and he offers his. “Tall and handsome and distinguished-looking – dark, melancholy, inscrutable eyes – melting, musical, sympathetic voice – yes, the very hero of her dreams stood before her in the flesh. He could not have more closely resembled her ideal if he had been made to order.” He suggests that they wait out the rain under the shelter of the pavilion, which gives them nearly an hour of conversation, and before long Anne begins to think he might really be the hero she’s dreamt of. At this point in rereading Anne of the Island, I got one of the songs from “Anne and Gilbert: The Musical” stuck in my head: “Gilbert Would Never Compose a Sonnet to My Eyes.” You can listen to part of the song here. The musical is wonderful, and if you happen to be in Charlottetown this summer, you should definitely go to this one (as well as to the more famous, long-running “Anne of Green Gables: The Musical” at the Confederation Centre for the Arts). Even if you aren’t in PEI this summer, you can buy the songs or the whole album (and no, no one’s paying me to promote any of this!). I especially recommend “Gilbert Loves Anne of Green Gables” and “You’re Island Through and Through” (“If you mind your business and you mind your neighbour’s, too, you’re Island, you’re Island through and through”). And I love the line from Gilbert’s “Saturday Morning” about “marking papers” – the tone in which he says that line takes me right back to my long days, and nights, of marking essays. 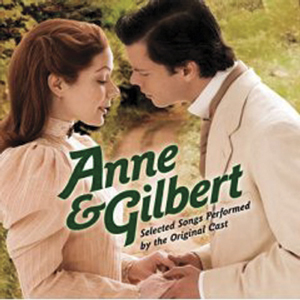 I saw “Anne and Gilbert” in Summerside during the summer of 2011 and I’d love to see it again. 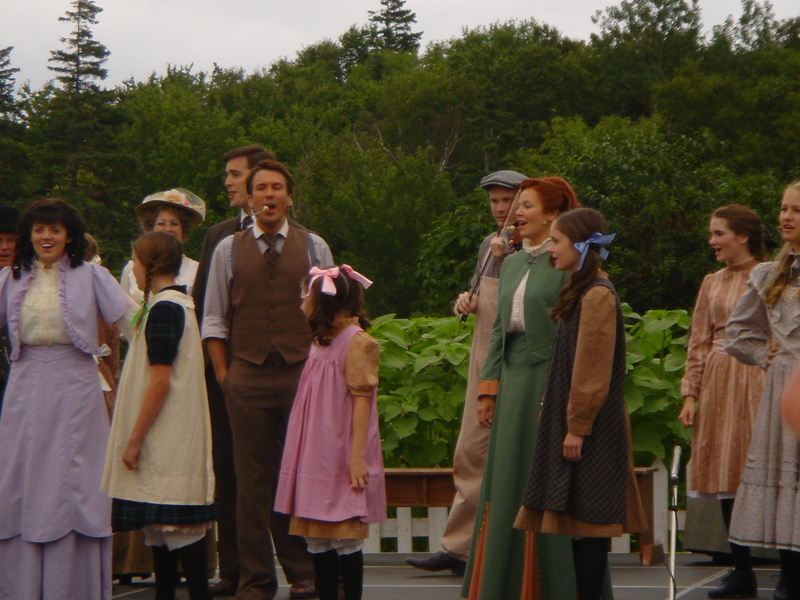 Here’s a photo of the cast performing “You’re Island Through and Through” – on a temporary stage in front of Green Gables itself. A lovely collection of references–thank you. 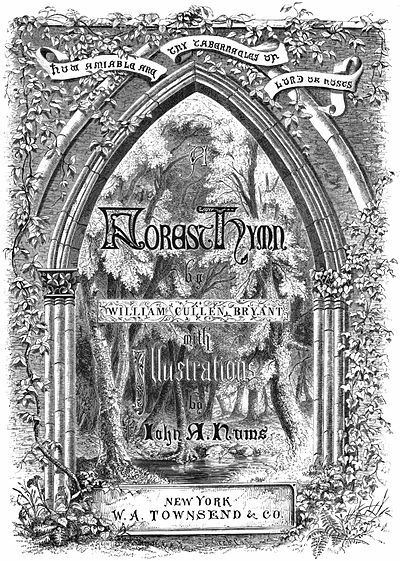 I enjoyed the link to William Cullen Bryant’s poem; what beautiful engravings! This sentimental love of trees made me think of my mom, who was forever quoting Joyce Kilmer’s poem ‘Trees’…only found out recently ‘Joyce’ was a man. 🙂 Now I wonder if Kilmer (of a similar period as Montgomery) was inspired by the Bryant poem, as well. Good question, and I don’t know the answer. Glad you enjoyed the post! I’m so glad I found your blog, and your affection for both Austen and Montgomery, which rivals my own. I too love this song in “Anne and Gilbert” (especially the blending of the singers’ voices), and concur that Gilbert’s and Darcy’s 2nd proposals always resonate with me for their timing in the novels. I too have read the LMM journals, and while I believe she wasn’t a huge fan of Austen (in comparison to her love for the Brontes), I hope that Austen’s P&P (and not just the need to satisfy her fans with this ending for Anne of the Island), was subconsciously admired and influenced the book’s conclusion. Hi Kelly — thanks so much for visiting. I’m always happy to find kindred spirits who love Austen and Montgomery. Have you read the later journals? I found them unbearably sad and I confess I haven’t read all of them. I rely on Mary Henley Rubio’s biography for my knowledge of LMM’s later years.